Patricia and Cliff are world travelers and hardworking volunteers who help sponsor service dogs for veterans. 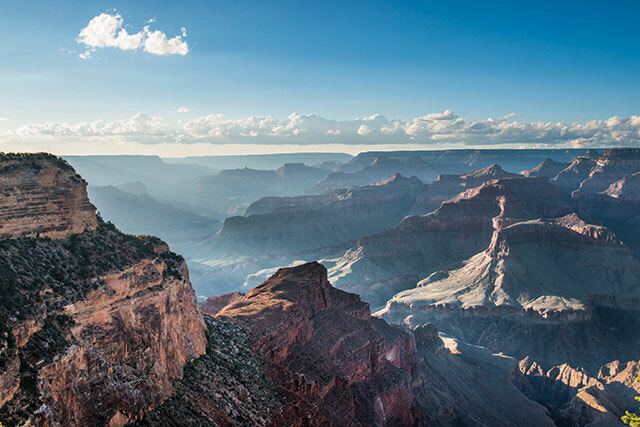 Recently, both of their passions combined on our U.S. National Parks: The Grand Canyon to Yellowstone tour, where they met a Navajo Code Talker who played an integral role for American troops during WWII. Here, Group Coordinator Patricia talks about what the meeting meant to them, and how they paid homage to the veteran through their community service group, Friends of America’s VetDogs, once they returned home. What drew you and Cliff to your Go Ahead Tour of the U.S. National Parks? Cliff and I are very patriotic and love to travel, but had not seen many of the parks. Plus, we liked the itinerary! So we and some of our fellow volunteers at Friends of America’s VetDogs got together and decided to do that trip. We’ve traveled together before and always have fun. 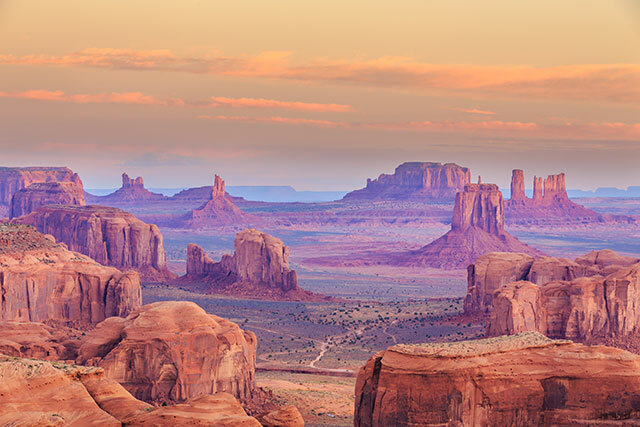 Your Tour Director connected you with a Navajo Code Talker during your adventure. What made that meeting so meaningful for you and your group members? Many of us are history buffs and grew up during the Vietnam conflict. We remember (with great sadness) how the returning vets were treated. When our fabulous Tour Director mentioned that we had an opportunity to hear a Navajo veteran speak, every one of us was there. Peter had every reason to be angry or bitter but instead he was proud of his service, the Marines, his heritage, and the Navajo tribe’s contribution to the war. To say he was inspiring does not do him justice. There wasn’t a dry eye in that room. Were there any stories that Peter MacDonald shared that stood out to you? Peter was 15 years old when he was recruited into the Marines, which is the same age as many of my students. To hear what he had to deal with and compare that to the life most American teenagers have today was mind boggling. The Code Talkers could never tell anyone what they were working on, not even their families, so no one understood the stress they were under. 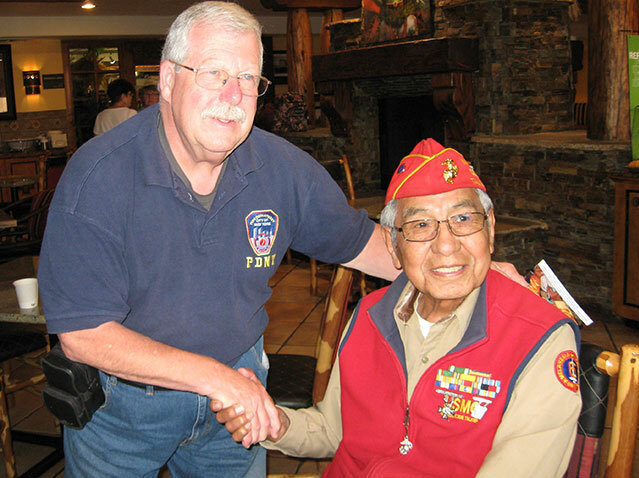 Then after the war, the Code Talkers were never recognized. In fact, their history and contributions were classified information until around 1960, so they were forbidden to talk about their service. There are less than a dozen WWII Code Talkers left (all over 90 years old), and they are working hard to have a monument raised. It must have been moving to connect with that part of U.S. history while exploring some of our country’s most stunning landscapes. How did it impact the rest of your tour? We bought Peter MacDonald’s book (which is helping to fund the monument the Code Talkers are working to erect) and were reading it on tour. It connected us to the land and things we saw. We also went to the Explore Navajo Interactive Museum, which had interactive displays that reinforced what Peter had told us. Hearing his stories and then experiencing other aspects of Native American history brought it all together for us. You honored Peter and the Code Talker community by naming a service dog “Navajo” through your charity, Friends of America’s VetDogs. Tell me about the organization. Cliff and I work together with a group of about 25 friends (20 of whom were on tour with us) to raise money for America’s VetDogs, based here on Long Island, New York. Service dogs are genetically bred for specific tasks like seizure alert, easing PTSD, and guiding the blind, and train for about two years. It costs more than $50,000 per dog and there is a long waiting list of veterans who need them. We have sponsored 14 puppies in just three years, and at no cost to the veterans who receive them! We decided to name the puppies after servicemen and women so that their names will live on. When the new owner is asked why their dog has a certain name, they can recount the heroism of the person who inspired it. We asked Peter if it would be ok to name the next service puppy “Navajo” to memorialize all of the Code Talkers and he started to cry. He was very honored. I’d love to hear what some of the service dogs you sponsored are up to! Our first graduate, Sarge, is the physical therapy dog at Northport V.A. Hospital, helping dozens of veterans every day. Our latest graduate, Sully, has been assigned to former President George H. W. Bush and has his own secret service protection. Another dog, Pepi, was found to have 600 times the scent abilities of the average lab and is now an A.T.F. agent with the federal government! Do you make it a point to immerse yourself in a region’s history on all of your tours? We usually choose tours with a lot of history and cultural connections. We have been very lucky with Go Ahead Tours because there are always so many opportunities to learn something new, experience something totally unexpected, and meet wonderful people—Cliff even connects with local firefighters on tour around the world! The local guides are especially knowledgeable and interesting. Plus, when we want to add something along the way like a visit to a particular museum or event, our Tour Directors have always accommodated us. How has traveling and working to help our veterans changed you for the better? Cliff will tell you that the most important thing is that we actually met on an EF trip 24 years ago! We both love to travel and that brought us together. I taught foreign languages for 35 years and I truly believe that travel is an important part of one’s education. Having traveled with so many students on EF Educational Tours, I saw firsthand how travel opened them up and at the same time made them appreciate home more. Helping our veterans just seems like something we all should be doing. We enjoy our freedom because of them. They keep us safe. What is one of your most memorable moments from tour? 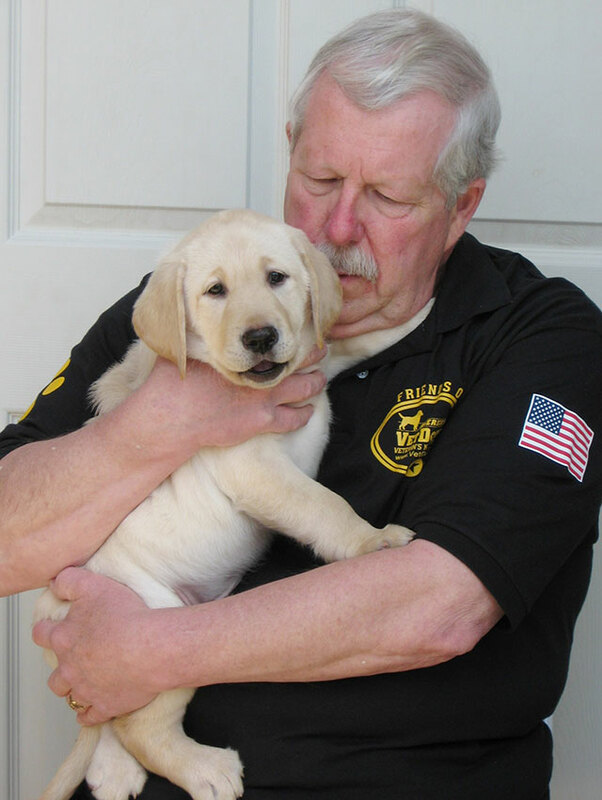 Tell us in the comments below, and read more about the work Patricia and Cliff are doing for Friends of America’s VetDogs!